News for Media People Who Happen to Love Plants! I’m honored to serve as chair of the GWA Association Outreach Task Force. As such, I’m proud to invite you to attendCultivate’14 where GWA will finally step in to the green industry spotlight! I am pleased to announce that for the first time in its history, GWA will have a presence at the green industry’s largest trade show in North America – Cultivate’14 in Columbus, Ohio from July 12-15th at the Greater Columbus Convention Center. 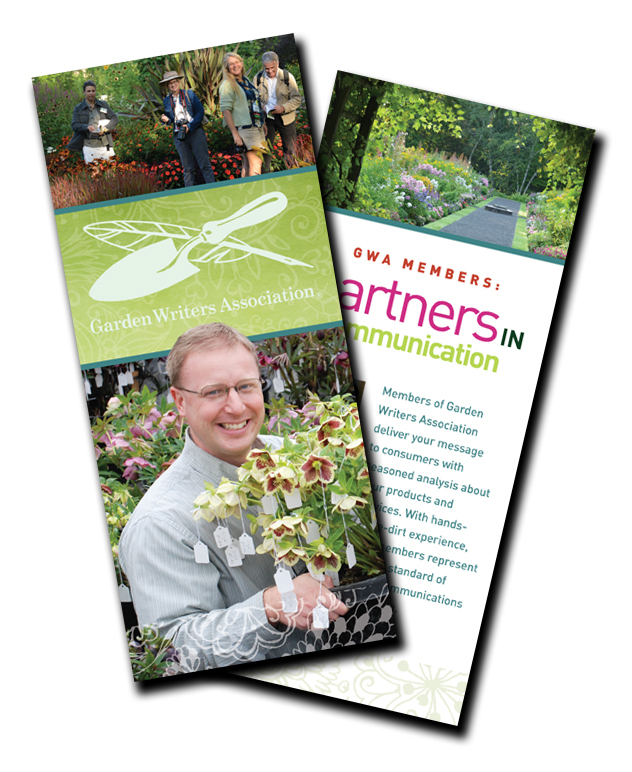 GWA will be exhibiting in Booth #1525 where our theme will be the ‘Gold Standard of Horticultural Communications’. Jo Ellen Meyers Sharp donated her time to create a tri-fold brochure which will also debut at the GWA booth allowing us to tell our story. The flyer explains why green industry companies need to partner with GWA members for increased business success. Download PDF file of brochure now. Thanks to AmericanHort – they are providing FREE registration to garden writers to attend the Cultivate’14 sessions, trade show and networking events (a $300 value!). To receive your complimentary access, you will need to use promo code: amhort14. Visit www.AmericanHort.org/Cultivate. Registration closes June 17 to receive the complimentary full-access registration. GWA will be leading a Cultivate’14 education session Saturday, July 12 from 10:45 am – 12:00 pm. Look for Room C213 where Maria Zampini, Shawna Coronado and other garden writers will share their expertise in Social Media and Digital Roundtable Exchange #MM113. For more details on all the activities available to GWA members, look for the June issue of the Q&T. 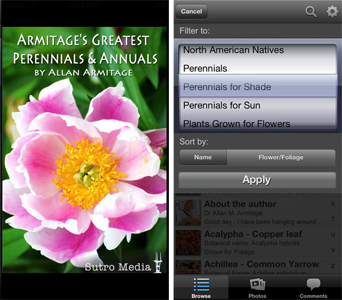 UpShoot is pleased to be working with Dr. Allan Armitage on his brand as well as his new ‘Armitage’s Greatest Perennials & Annuals’ garden app. The app is continuously updated with new garden center listings. More recently cut flower garden plants, vegetables, ornamental grasses and a rabbit-proof plant browser were added. Dr. Armitage’s app is a perfect promotional tie-in for June publications. For those garden writers who host their own radio show, podcast, chat room or the like, consider scheduling Dr. A for an interview today! 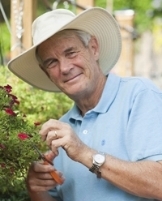 Dr. Allan Armitage’s latest mobile phone gardening app, testimonials. 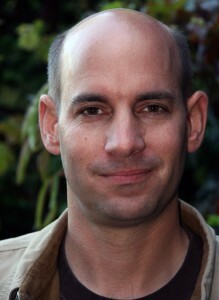 books,upcoming garden tours and more are available on his website. Richie Steffen and his team at the Elizabeth CMiller garden based out of Seattle, WA launched their new 2014 poster campaign for Pacific NW Great Plant Picks this year featuring Plants That Make Scents. 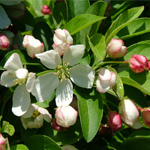 Sugar Tyme® Crabapple was selected for both the fresh and fragrant flowers categories. Order your FREEposter copy today! Make National Weed Your Garden Day Easier! Did you know that June 13th is the National Weed Your Garden Day? 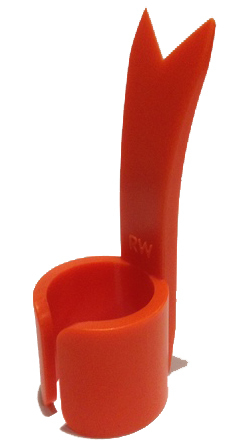 Make your weeding easier by utilizing The Ring Weeder. We are offering a FREEsample of The Ring Weeder, a new garden tool in exchange for a short testimonial on its effectiveness in your garden. Email Maria to order your free sample today. 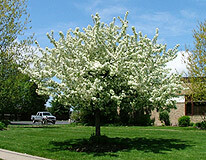 Cinderella is the smallest of the Round Table Series of genetically dwarf crabapples reaching only 6 -8’ in height and 5’ in width. 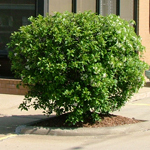 It can truly be grown as a shrub, like pictured at the North West Savings Bank in Painesville, Ohio or as a top grafted or natural-looking street tree. Red buds open to fragrant white flowers in the spring. 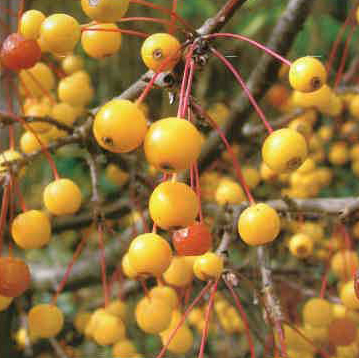 Fall heralds petite golden fruit which birds adore. Best of all, it is tolerant of road salt. Believe you me we can speak from experience as we have tested it extensively in the NE Ohio snow belt! 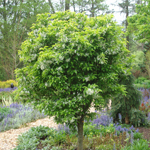 “I first saw Cinderella in a garden setting while visiting Lake County Nursery, Inc. several years ago, and fell in love with this adorable, petite crabapple. I knew I’d have to have one.